Asus already gave an update Android 5.0 Lollipop For ASUS Zenfone 5 LTE A500KL or Asus Zenfone 5 LTE. 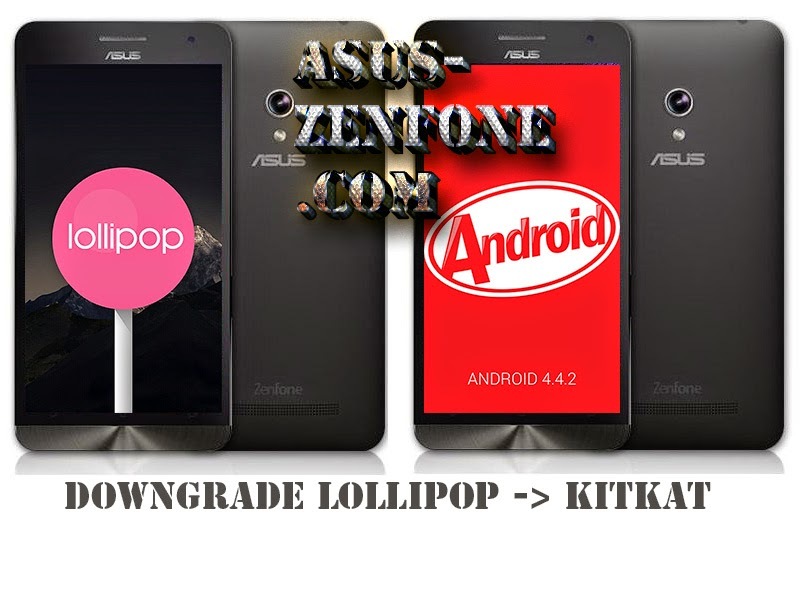 Today Asus Zenfone Blog will teach you How to Downgrade ASUS Zenfone 5 LTE A500KL from Android 5.0 Lollipop to KitKat 4.4. 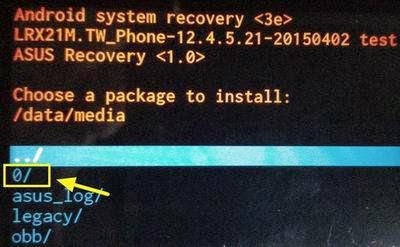 This method will downgrade Android 5.0 (Lollipop) to Android 4.4 (KitKat) TW_11.4.6.94 or WW_11.4.6.94; software can not be converted back into the other version version. 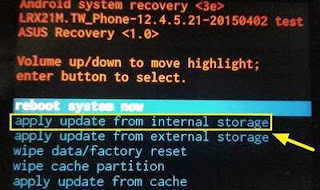 The system version will revert back to the board to default values ​​and cause data loss; you need to take to back up important data before back version. 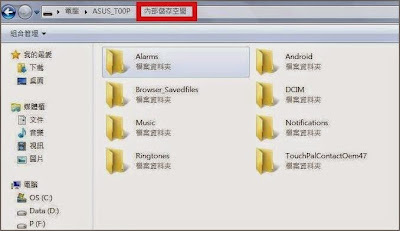 Please go to [Settings] -> [storage space], and select the USB connection mode to " media device (MTP) . " 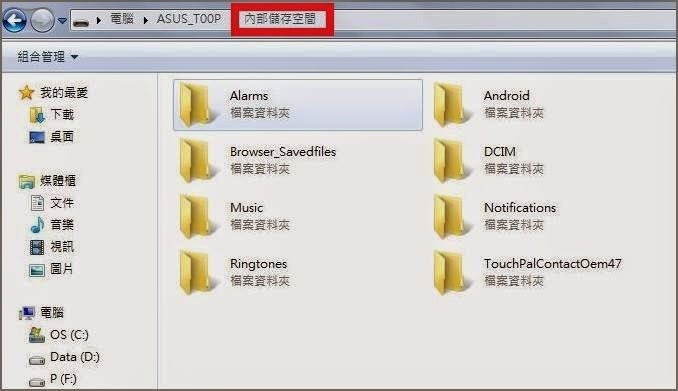 Download file ( TW_A500KL_11_4_6_94.zip for TW version and WW_A500KL_11_4_6_94.zip for WW version) decompression, rename​​the following file " TW_A500KL-11.4.6.94-20141218_M3.5.22-ota-user.zip " or " WW_A500KL-11.4.6.94-20141218_M3.5.22-ota-user.zip "
Connect your phone and computer using Micro USB, and copy TW_A500KL-11.4.6.94-20141218_M3.5.22-ota-user.zip/WW_A500KL-11.4.6.94-20141218_M3.5.22-ota-user.zip to the root directory of the phone's internal storage space. Turn the phone off, then hold down the "power button" and "volume down key" hold to enter Recovery Mode. see the following screen, press the volume keys to select " 1. 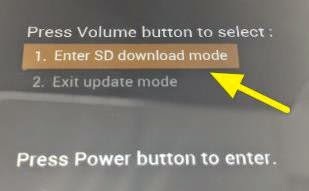 Enter SD download mode ", then press the power button to perform to confirm the action. Press the Volume button to select " Apply Update from Internal Storage ", then press the power button to confirm. Press the Volume button to select " 0 / "and then press the power button to confirm. Press the volume keys to select " TW_A500KL-11.4.6.94-20141218_M3.5.22-ota-user.zip " / WW_A500KL-11.4.6.94-20141218_M3.5.22-ota-user.zip , then press the power button to confirm. 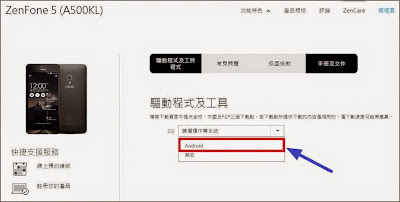 After the update is complete, press the volume button to select " Wipe Data / Factory RESET ", then press the power button to confirm. 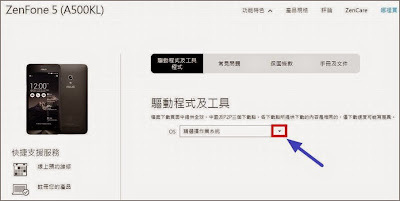 Press the volume keys to select " Yes - delete user All Data ", then press the power button to confirm. press the volume keys to select " reboot system now ", and then press the power button to confirm. Downgrade version is complete, up to [Settings] -> [about] -> [Software Information] to check the version number is a V11.4.6.94 .